Many believers have been challenged by this question. Do we know Christ well enough to walk in His footsteps? Perhaps the problem is that we believe in Him, but do not know enough about what He wants for our lives. 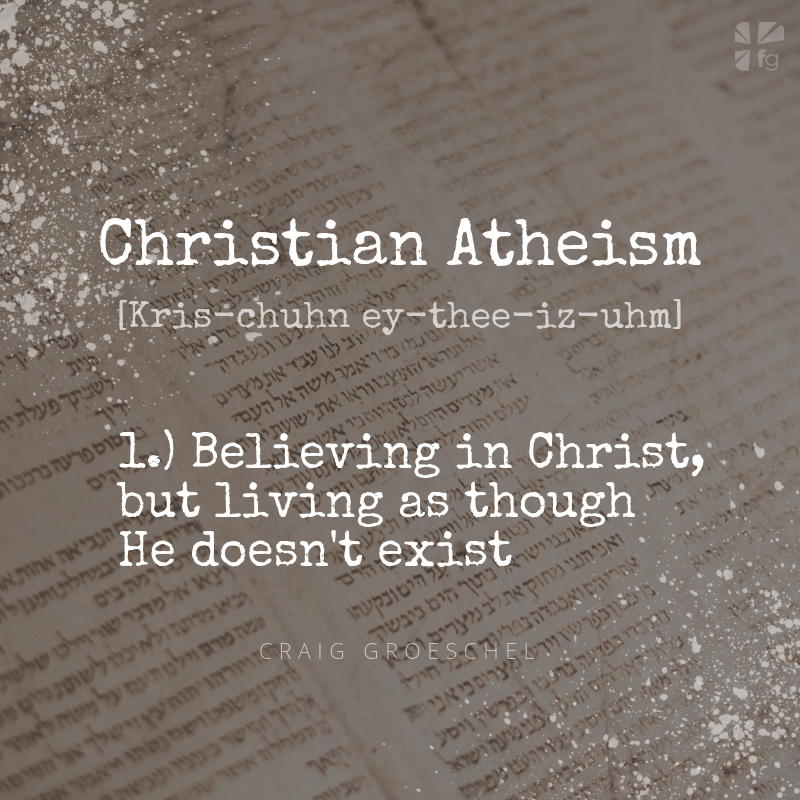 Craig Groeschel defines a Christian Atheist as someone who believes in God, but lives as though He doesn’t exist. Believing in Him must lead to knowing Him. The way to know Him is to study the word of God, and spend time with others who are doing the same. 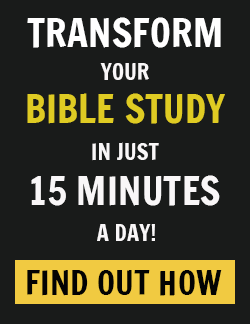 We invite your group to participate in lesson one of the video study of The Christian Atheist. As you watch, use the outline below to follow along or to take notes on anything that stands out to you. So many people believe in God but they do not know Him (Titus 1:16). Level 1: I believe in God, but I don’t know Him. Level 2: I believe in God, but I don’t know Him well. Level 3: I believe in God, know Him intimately, and serve Him wholeheartedly. Example: David is described as a man after God’s own heart (1 Samuel 13:14). What you call God often reveals how well you know Him. If you seek God with all of your heart He will reveal Himself to you (Deuteronomy 4:29; Ephesians 1:17-19). How do you respond to the idea of “Christian Atheism”? Activity: How Well Do I Know God? Complete this activity on your own. Briefly review the following list of statements and mentally check those you feel are true for you. _ I believe God loves everyone, but I sometimes struggle to believe that God loves me. _ I often feel disconnected from God. _ I pray when I need help, but I don’t routinely spend time with God. _ I feel trapped in a cycle of shame about my past. _ I don’t feel much need or desire to read the Bible. _ I sincerely believe in God, but I can’t say I prioritize my life around Him. _ I don’t feel the same devotion to God as I did when I first became a Christian. _ There are some things about me that I know aren’t what they should be, but I don’t know if I can ever really change. _ My belief in God doesn’t seem to keep me from worrying a lot. _ My lifestyle, actions, and decisions don’t always line up with what I say I believe about God. _ I don’t talk about my faith with people who don’t believe in God. _ I don’t experience worship or express praise to God in my daily life. _ I find it difficult to forgive people who have hurt me. _ My sense of security is impacted more by how I am doing financially than by how I am doing spiritually. _ I believe in God, but I’m not so big on the Church. _ I’m not sure my heart breaks for the things that break the heart of God. _ I tend to diminish or overlook my sins and failures rather than grieving them. _ I don’t often experience a passionate desire to please God. _ It feels like a long time since I’ve heard God’s voice or experienced God’s leading in my life. _ I sometimes feel God is not fair. _ It’s rare for me to feel completely surrendered to God. Sometimes I’m not even sure I want to be. 2. Which two or three statements on the checklist best describe where you’re at spiritually right now. Or you may wish to write your own statement. Discussion: How Well Do I Know God? Describe your experience of working through the checklist. For example, was it uncomfortable, confirming, surprising? Why? Would you say that the level at which you know God now is the highest it’s ever been? Lowest? Somewhere in between? If you feel comfortable, share one or more of the statements you noted on the checklist. Why do you think this statement is true for you right now? 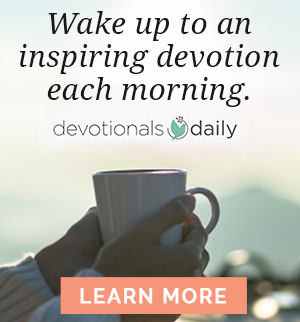 Throughout the Old and New Testaments, the Bible makes a strong connection between knowing God and living for God. In an authentic relationship with God, it is impossible to separate love from obedience, belief from behavior, faith from practice. Each reinforces and balances the other. Go around the group and have a different person read aloud each of the passages listed below. As the passages are read, underline any words or phrases that stand out to you. You may wish to read each passage twice to give everyone time to listen and respond. Based on these passages, how would you describe the connection between loving God and obeying God? Describe the characteristics of someone trying to live one way or the other — loving God without obeying God or obeying God without loving God. In either case, what good things do you think the person might miss out on in their relationship with God? Would you say you have experienced what the passages describe — obeying God out of love and loving God with your obedience? If so, describe your experience and how it’s impacted you. If not, what would you say is the hardest part for you — obeying God out of love or loving God with your obedience? My attachment to sinful ways of being is much too strong to ever be undone by mere willpower. . . . Genuine transformation requires vulnerability. It is not the fact of being loved unconditionally that is life-changing. It is the risky experience of allowing myself to be loved unconditionally. If genuine transformation requires vulnerability, do you think disobedience could be described as a refusal to be vulnerable with God? Why or why not? Would you say that you have had a risky experience of allowing yourself to be loved unconditionally by God? If you have and if you feel comfortable doing so, share that experience and the impact it has, or once had, on your ability to obey God. If not, what do you think prevents you from allowing yourself to be loved unconditionally by God? Briefly review the outline and any notes you took. Write down the most significant thing you gained in this session — from the teaching, activities, or discussions. Where are you in your relationship with God? Where do you want to be in experiencing His presence and power in your life? Come join the conversation on our blog! We want to hear from you!